Over the years designer Jo Gatenby has admired the various stylized Christmas trees that so many artists and designers have come up with, whirls and swirls, words and themes, and wanted to try her hand at creating her own. 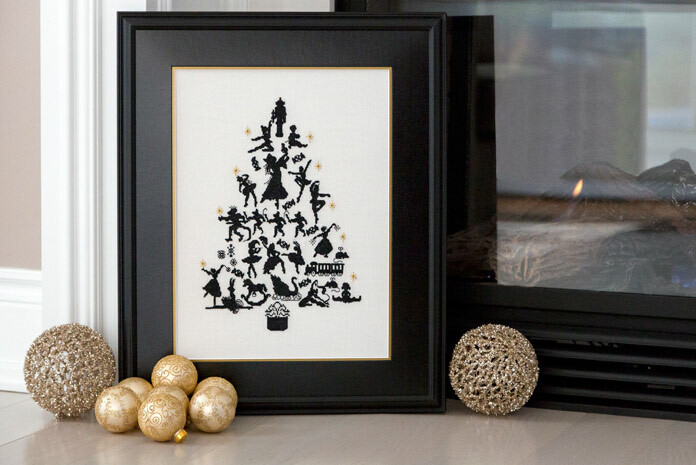 A long-time lover of the Nutcracker Ballet, when she saw another artist’s version of this tree, she just had to create her own… The hardest part was turning actual photos of dancers into silhouettes that still provided enough detail to show their characters! Read more in our Issue 45.